28 March 29, 2019, 4:00 pm the world, especially the car enthusiasts were blessed with the teaser of new Escape by Ford on the official twitter of the company. According to the tweet, this new SUV will be debuted on 2nd of April this year; it most expectedly will have excellent performance, unbeatable efficiency, modern technology and jaw-dropping flexibility. They are arranging their Go Further event in a few days, in this even they are planning to reveal the next generation of many of their cars. In addition to hybrid versions of Fiesta and Focus, during the Go Further event that Ford Europe will hold on April 2, other mild-hybrid variants will be announced in its range of commercial vehicles such as the Ford Transit, Transit Custom and Tourneo Custom. These new hybrids are the prelude to a new generation of the Kuga and come to accompany the first approach that the brand made with the hybrids with the Ford Mondeo. According to the latest picture on their Facebook account, they are planning to debut the next generation of their famous Kuga SUV for the European public. If you don’t know anything about the Kuga, then for your information it is stated that it is the European counterpart of USA’s Escape SUV. This resembles their new venture, i.e. Focus; there isn’t much information they have revealed about it yet. But from what we could interpret from the video is that its LED technology, as well as boot lid, resembles Focus. 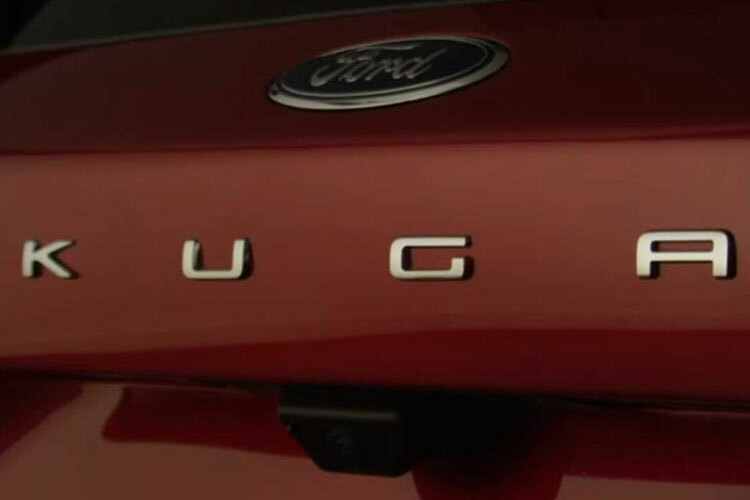 That was quite expected from the ford given the resemblance between many of their cars before. Just like focus this new car also has a rotary selector for the automatic gearbox in its cabin. Now the only thing we have to do is to wait for the event and see how this car turns out.